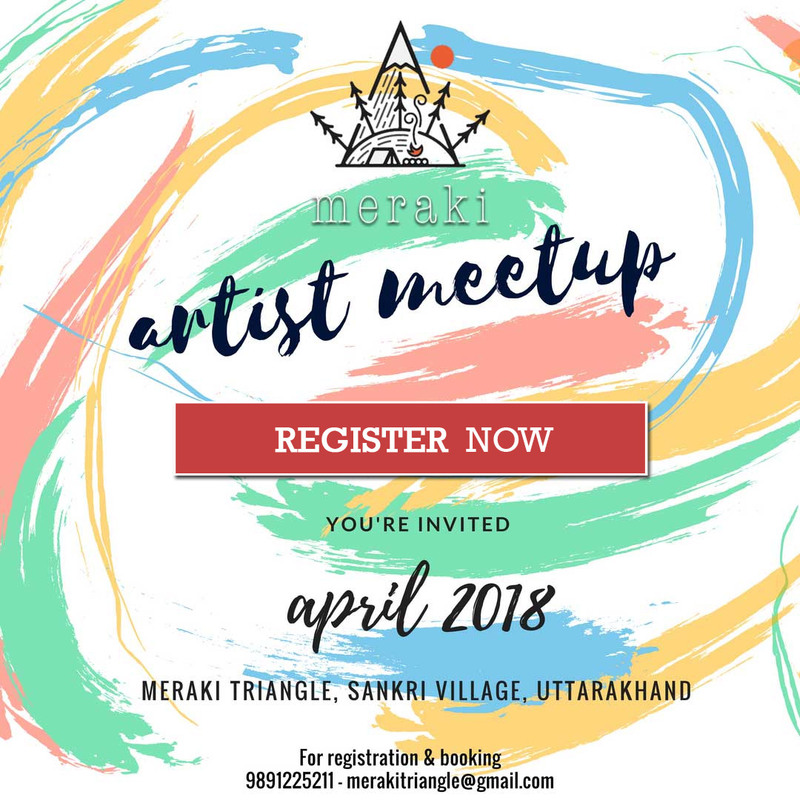 We are extremely glad to announce 2nd Artist Meet Up to be held at Sankri Village under the roof of Meraki Triangle, an art-house in the Himalayas with three sides of the triangle representing Homestays, Camps & Café. We are developing our establishments as Art House in the Himalayas that celebrates the regional expression of nurturing life in the mountains and its fusion with vivid art-forms created by you. The aim is to transform the sister villages of Sankri & Saur as an art village, and it won't be possible without artists like you. Launch of Artist Meet Up. Village walk to understand regional and cultural art forms. Planning & Ideating the concepts. Do art work on the walls. Beautification through recycled or natural products available (bhojpatra, driftwood, pebbles). 01 Day Hike in the woods with packed lunch. Documenting the Artist Meet Up. We are sponsoring the tour of 08 Artists. Others can register for this event as a guest artist or to experience one of its kind travel experience. Book for 4 People or More to get Flat 20% Discount. Meraki Triangle is also a platform for aspiring artists to showcase their work through different medium of arts. Our doors are open for established and aspiring artists alike. If you are a learned artist then you can conduct workshops for kids of Sankri. Did we mention, adorable kids are in plenty here, their eyes have a spark to contain all the possibilities within and bring the best out of it. There is a unique yet consistent symmetry with a soulful vibe hidden underneath its vivid color patterns that you can feel while adoring all the gems Bhuli has created to promote cultural tourism, women empowerment, local cuisine & regional values. 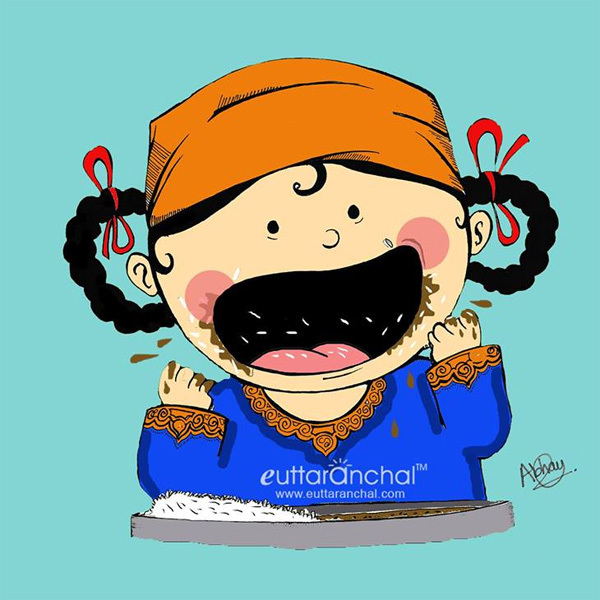 Bhuli Art is founded by Tanya Kotnala and co-founded by Tanya Singh. An aspiring cartoonist and doodle artist who knows exactly how to make use of simplicity and humor to win hearts of people, Abhay has been successful in this journey by heading the creative department of eUttaranchal comic tales. 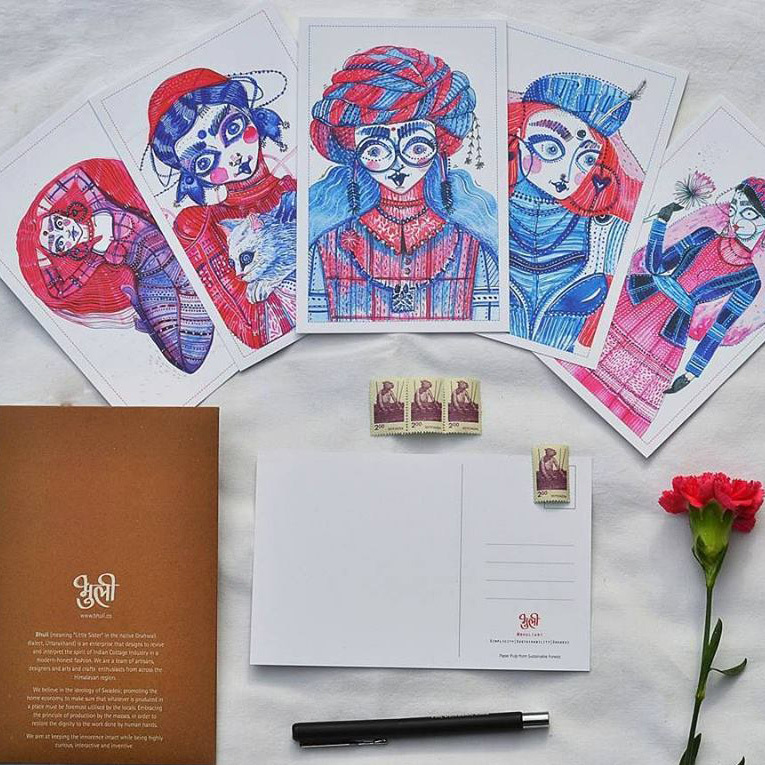 Subtle color strokes and immaculate curves on paper makes Customized Cards by Mallika’s Artistry a precious gift to behold. 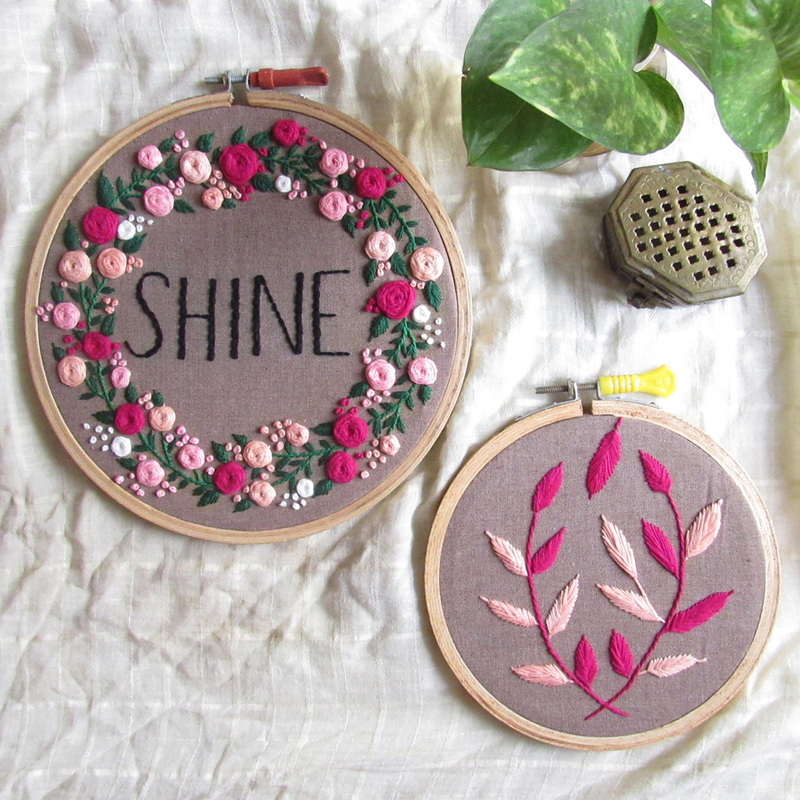 Embroidered Hoops made with closely knitted colourful threads can add beauty to your drawing room or work desk. Mallika is a calligraphy and Emboridery artist. The paint is on us. Task - Making a short documentary for this project. Must Have – A DSLR with atleast 1 prime lens and other accessories. Editing skills. Gimbal will be a plus. We will pick up all the artists from Dehradun and drive to Sankri Village. Stay and mealswill be on us for the entire duration of this artist meet-up. Our projection of the total number of days to complete the art work at Meraki Triangle Sankri will be maximum 2 weeks long. Which largely depends on the number of artists involved. Brace yourselves to be pampered, in return for some magic strokes. Artists involved in this project will get sponsored 01 Week Stay / 01 Himalayan Trek with us. You can redeem this at Meraki Triangle, Sankri&Meraki Triangle, Chopta. We’ll be creating an Art Cart on our website which will focus on showcasing the products and art work designed by our listed artists. We will also make such products available on sale and promote it across all our social media platforms. We’re also looking for Volunteers !!! Task – There is a lot that will be on your shoulder. If you are open to interact with clients, manage the property, cook occasionally, collect wooden logs, cross check hiking equipments, travel, trek, walk for a kilometer to make a phonecall (at times), shovel out snow during the month of January and February and there is a lot more. There will be different tasks everyday but trust me it will be one memorable ride. Must Have – Patience and ability to handle all that mentioned above and a lot more. This is serious work for those who don’t truly appreciate the idea staying in the wild. Perks – Free Trek during your employment tenure. A lot of learning. All Expenses to and fro Dehradun. And a surprise gift. We may hire you after your tenure / shift you to another location for the next two months – all sponsored. If you are interested for any of the above posts or know anyone who could be of help then mail your portfolio on bhupendra@eutn.in or you can fill the following form.